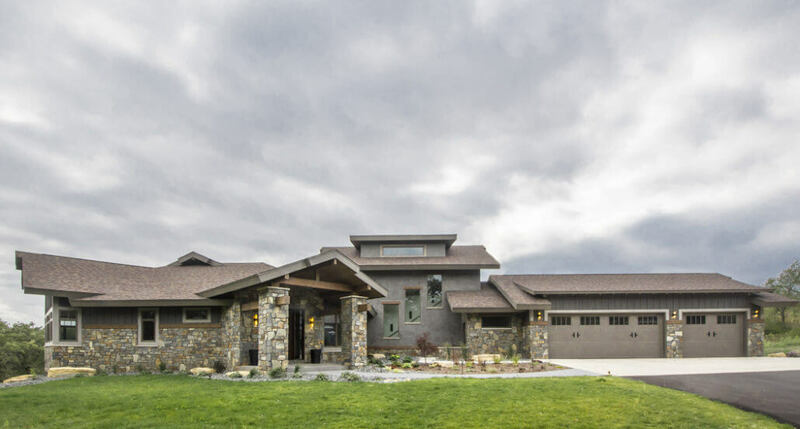 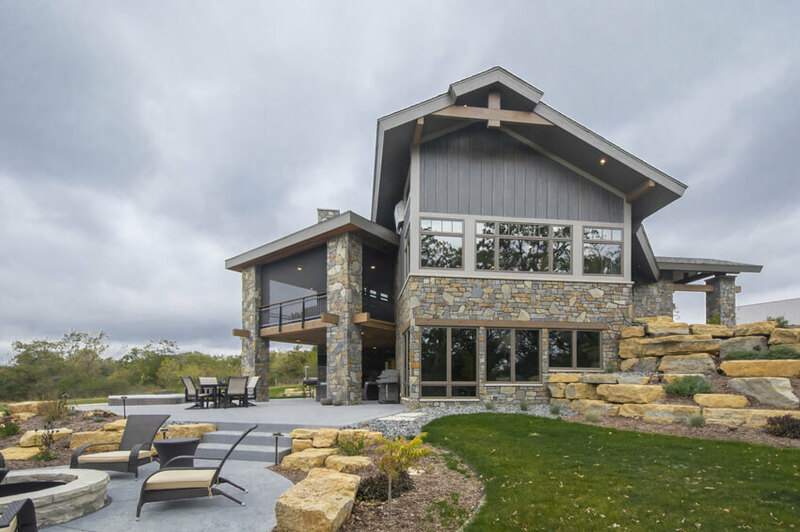 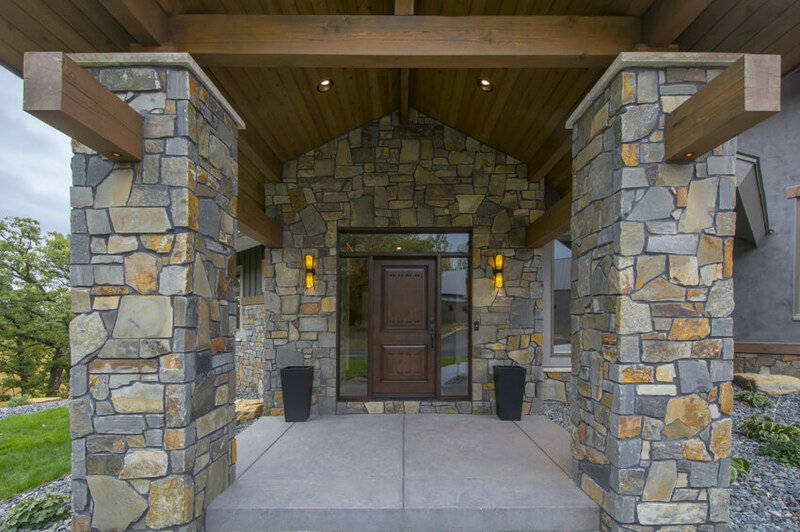 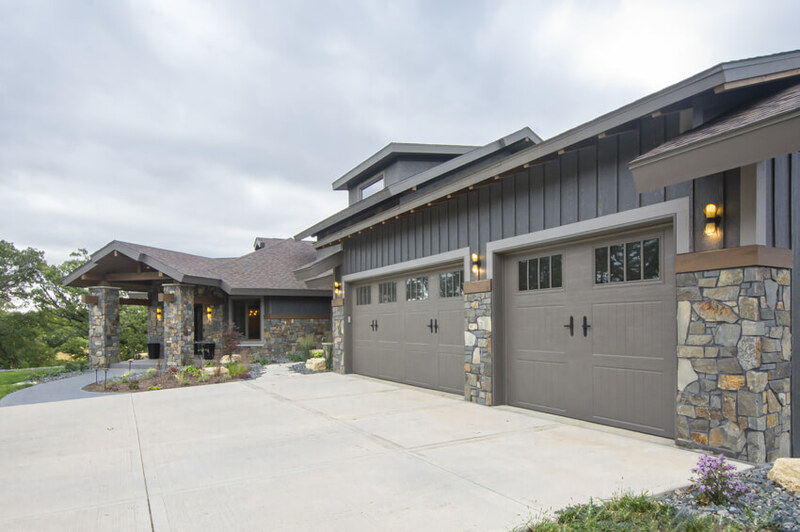 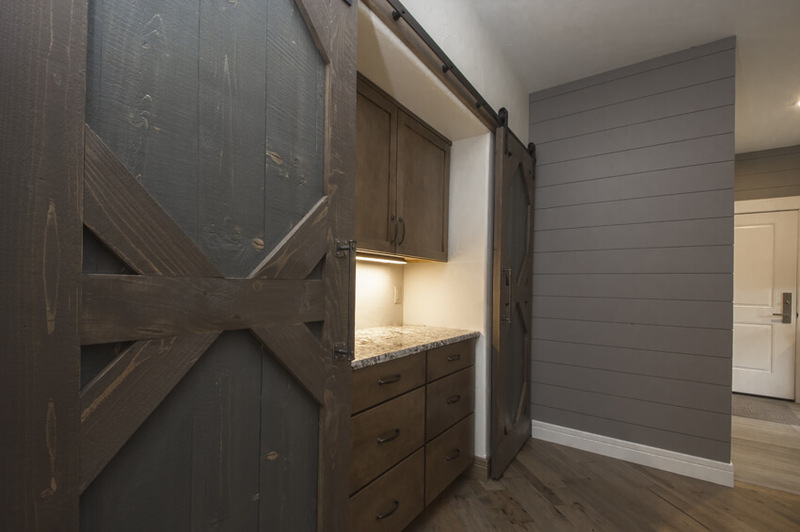 The exterior features rustic, wood-toned board and batten and stucco siding, the covered entry a tongue and groove ceiling and distressed front door with antique hardware. 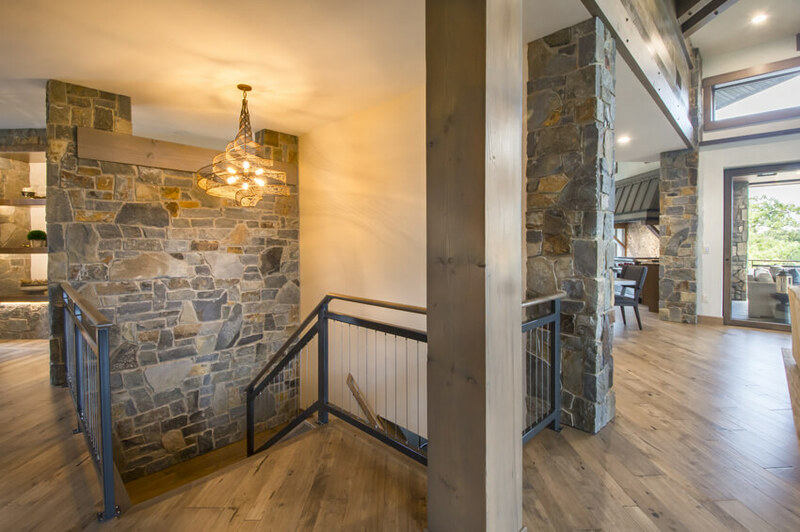 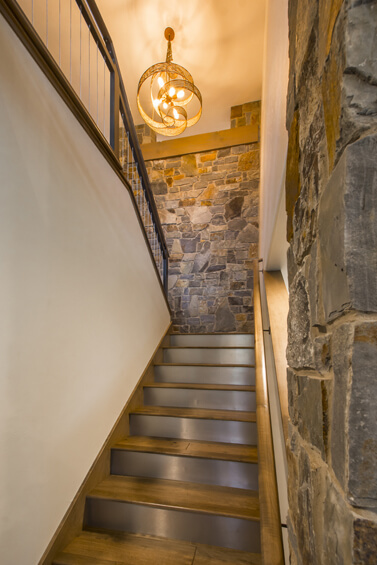 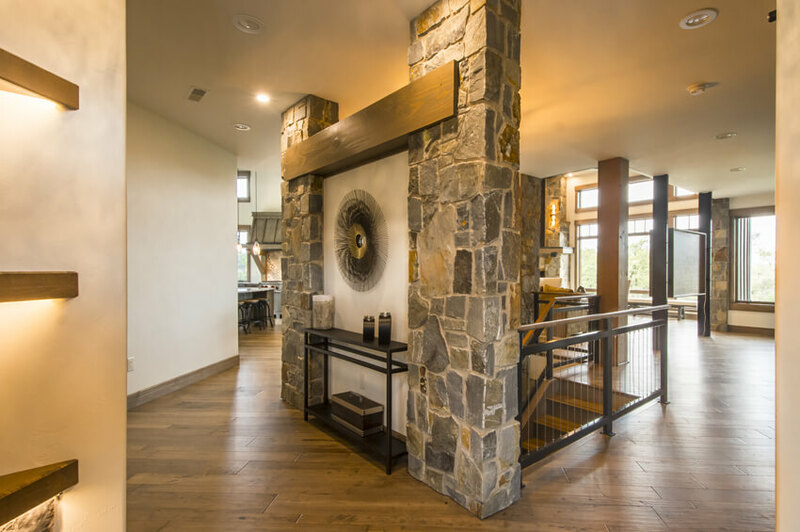 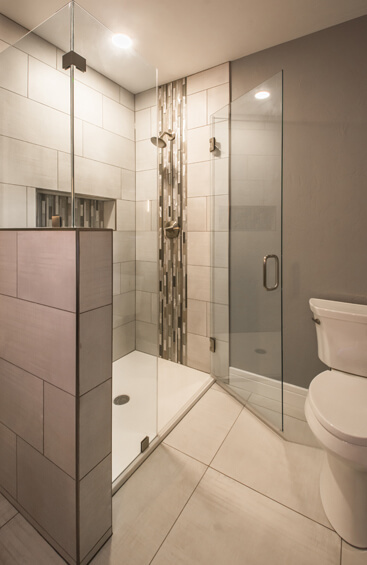 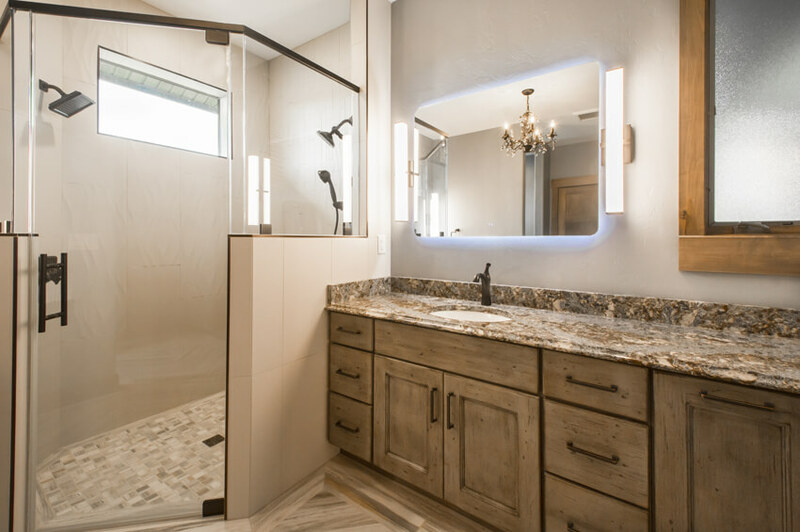 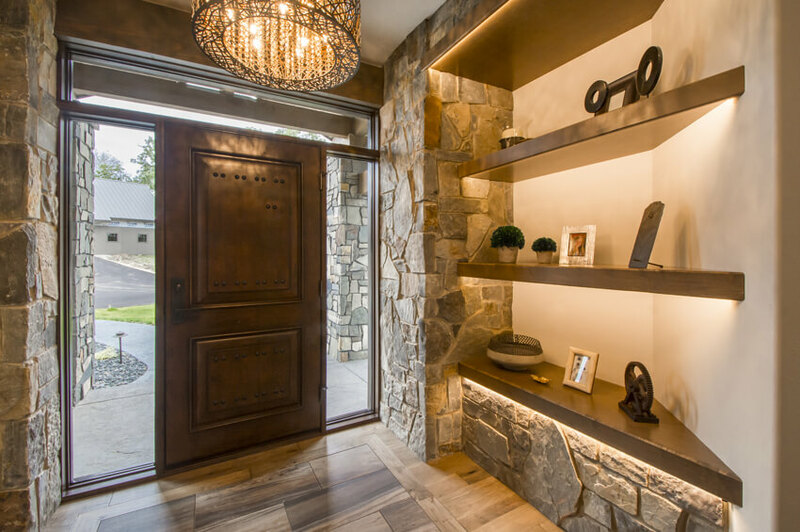 Just inside is a stone feature wall with lighted shelving and hardwood floor with tile inlay. 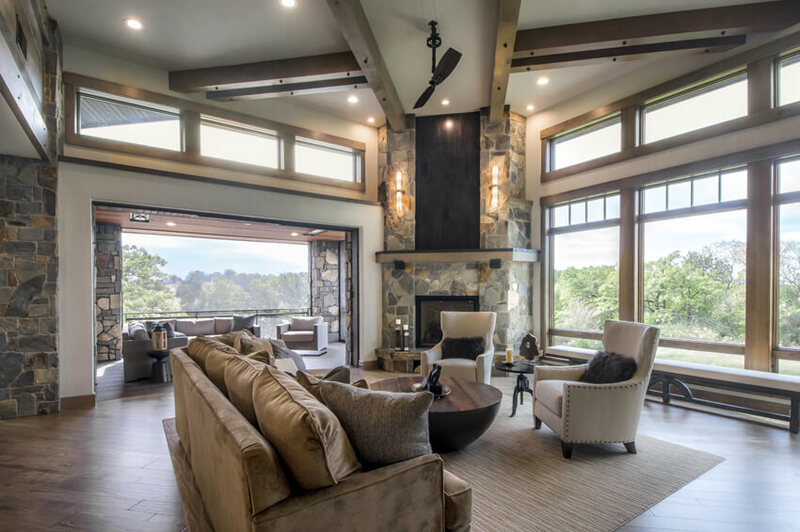 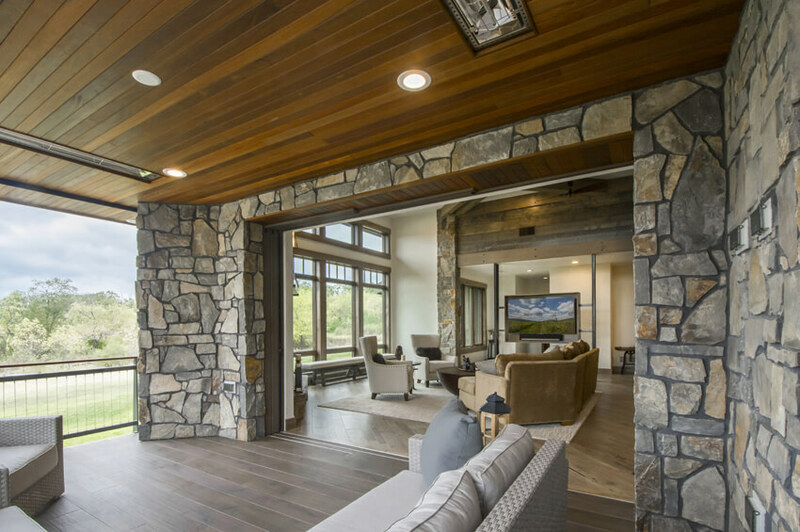 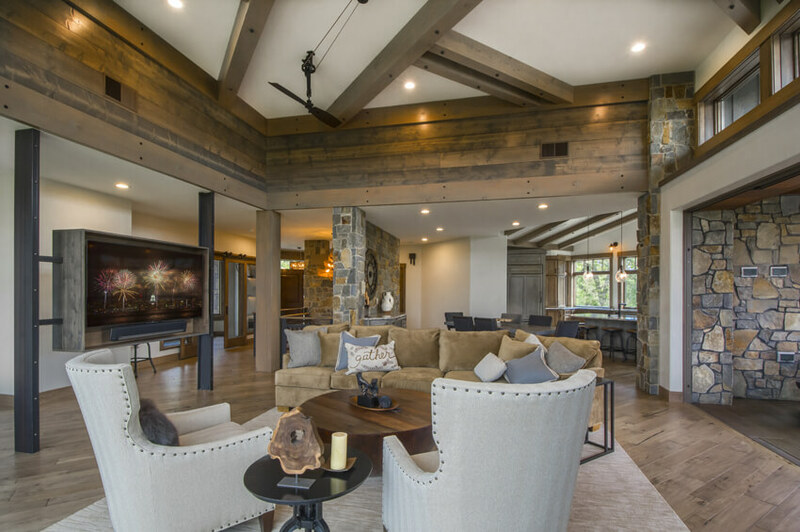 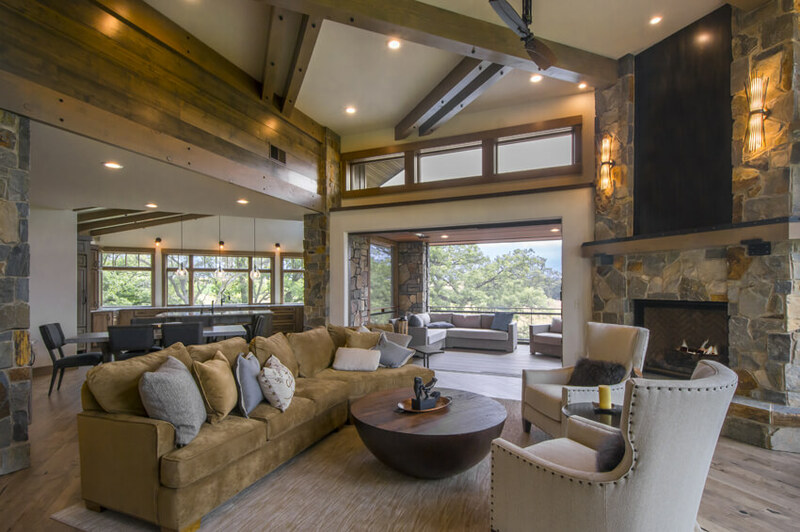 In the great room, the timber ceiling beams lead to the stone fireplace with timber and metal details. 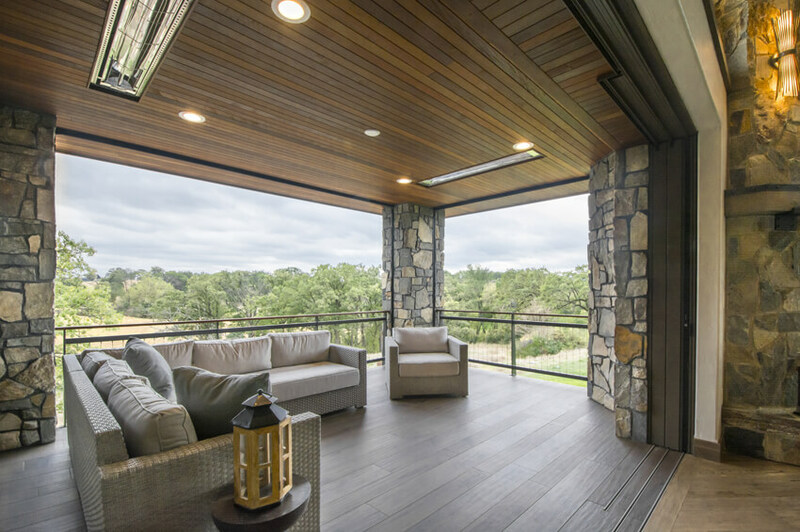 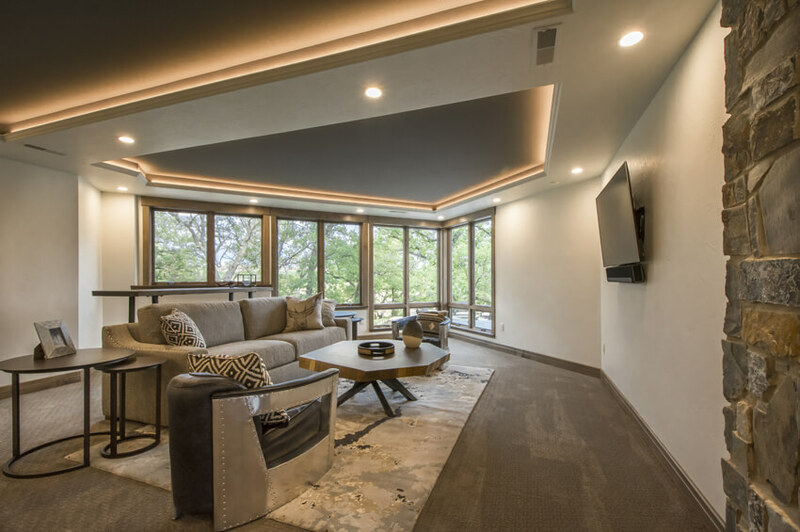 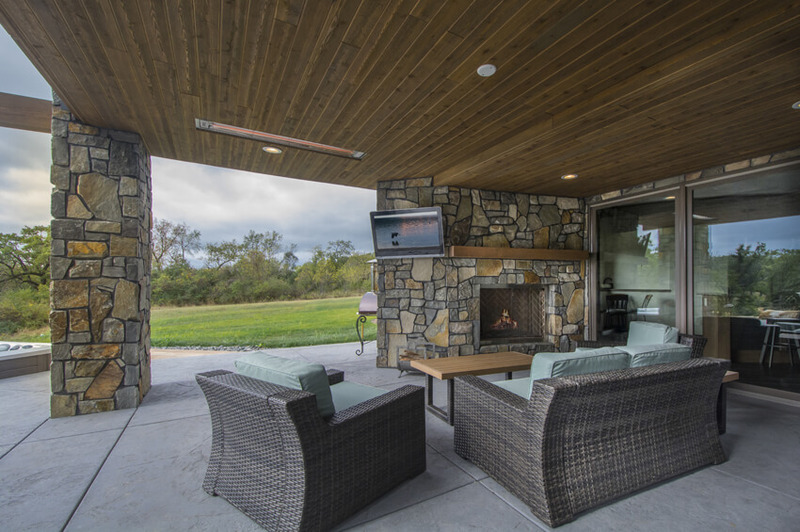 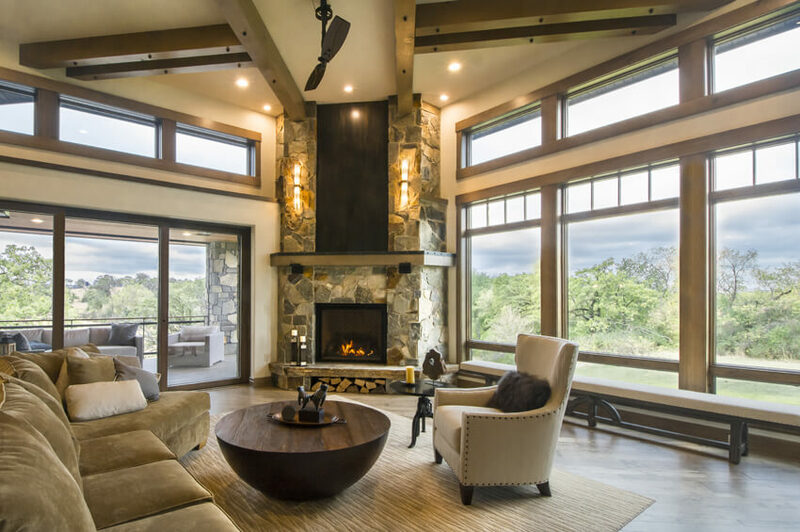 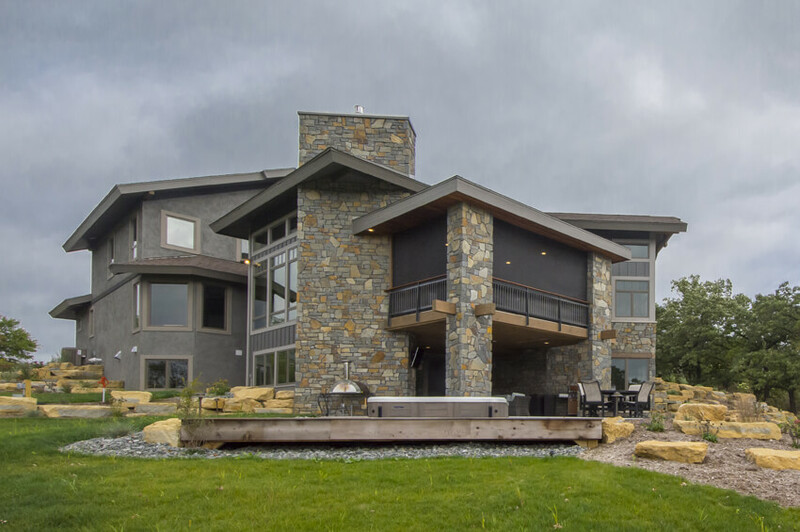 A steel TV and art display and a full wall of retractable screens to a heated screen porch complete the main living space. 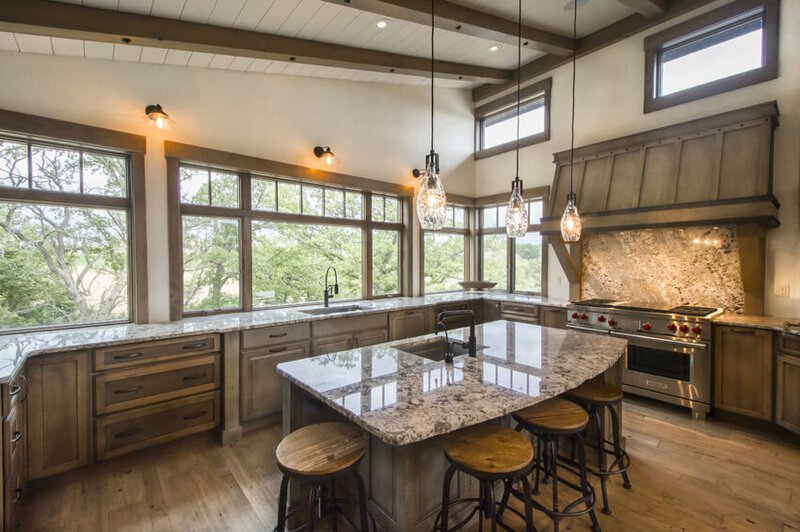 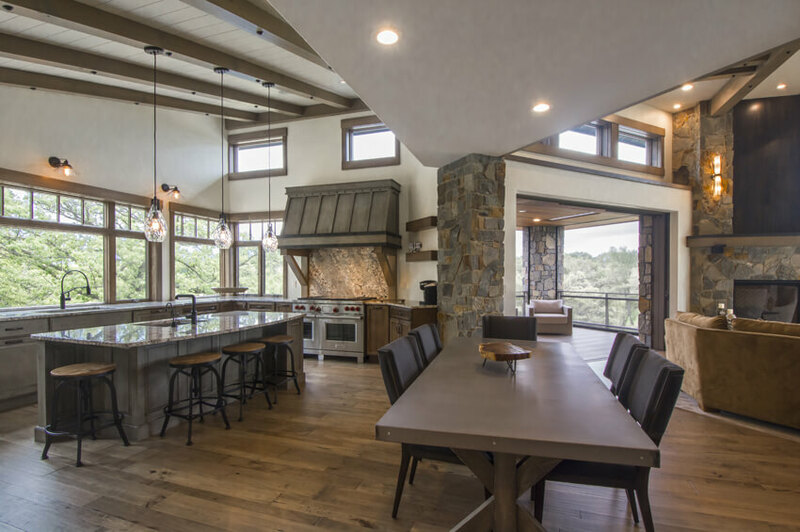 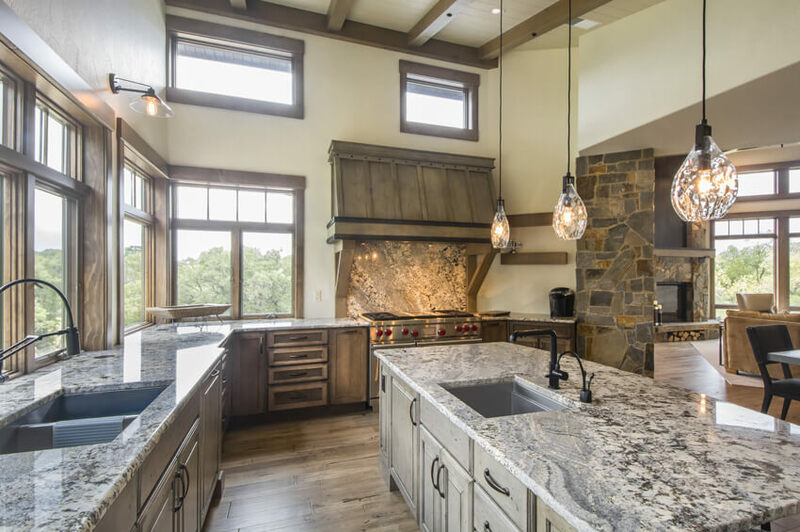 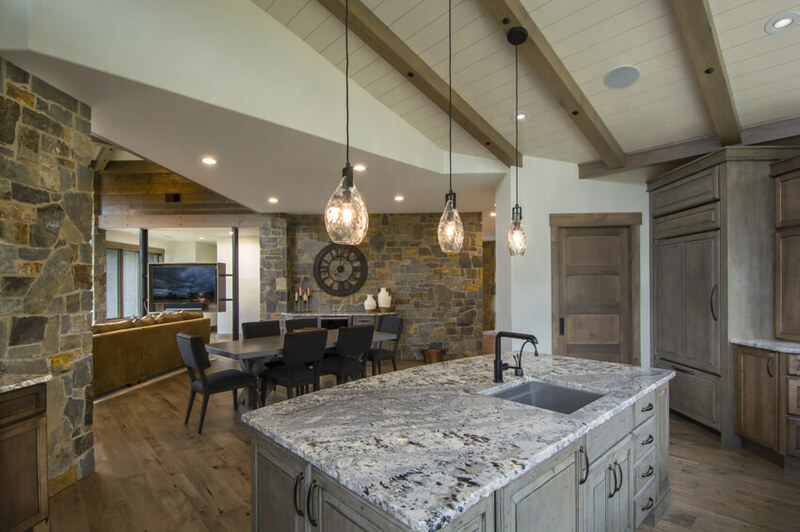 Standing out in the kitchen are a wooden hood cabinet with Maple-Appaloosa finish, Clovis metal rivets and timber posts; an island with a prep sink; a walk-in pantry; and another tongue and groove ceiling with timber beams matching the cabinetry. 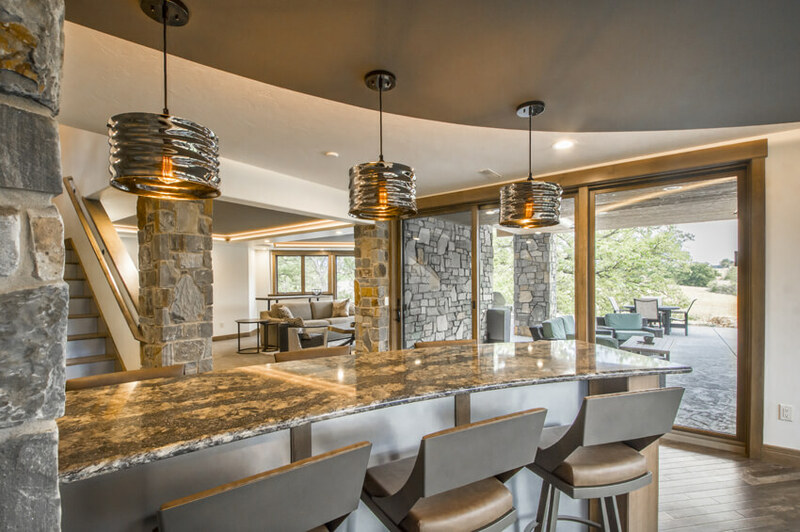 The dining room has a beverage center in its buffet island. 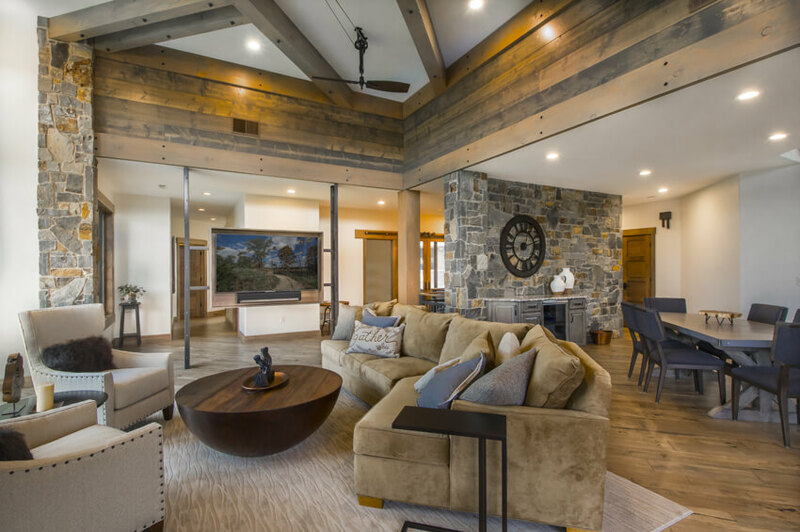 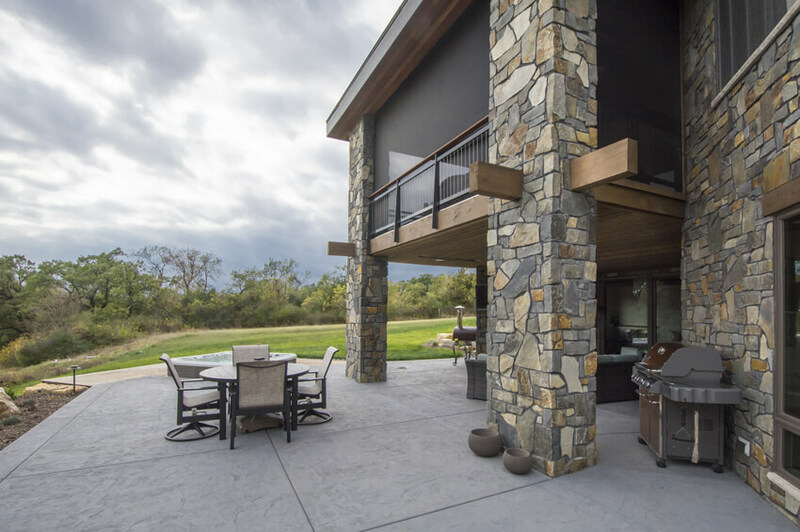 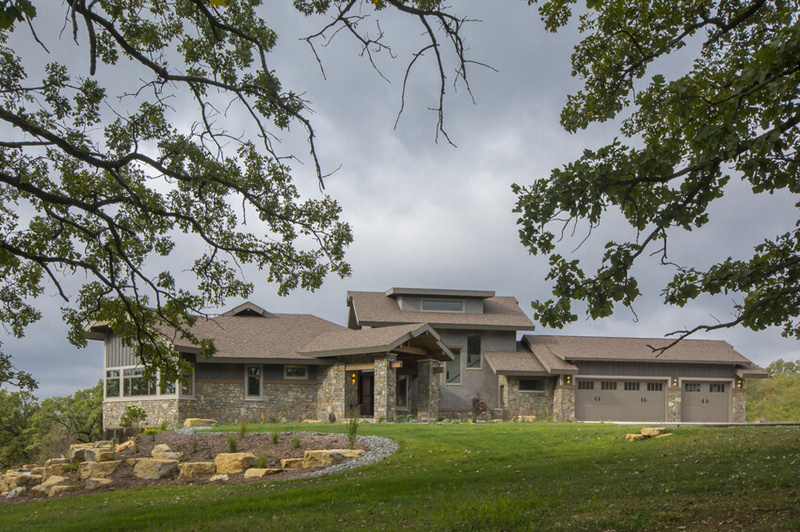 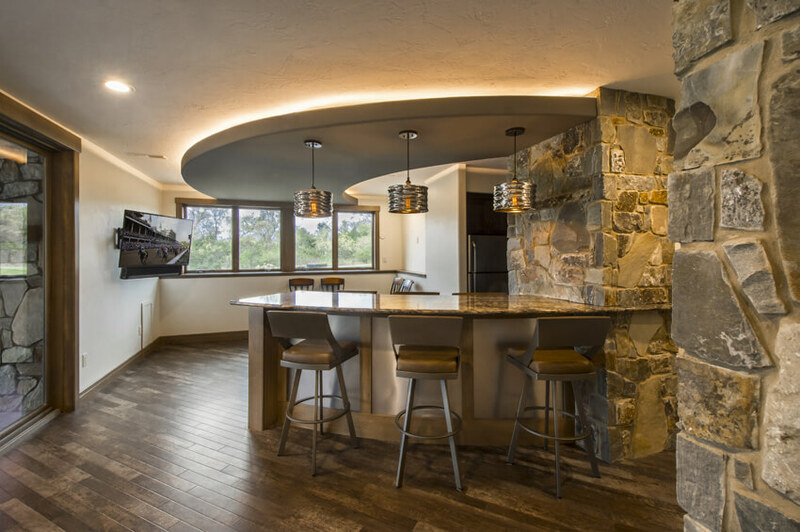 Also incorporated into the home are sliding barn doors, pulley-driven ceiling fans, and a second-floor loft.